Having been privileged already to see in little over two months two great productions of Die Meistersinger, one in Paris (Stefan Herheim) and one in Munich (David Bösch), I was unable to resist the prospect of a third staging, at Glyndebourne. Alas, David McVicar’s production – for the moment, I am considering solely the staging, for there was much to admire in the musical performance – proved by far the weakest. Alas, we see here the continuation of the sad decline of a once accomplished director – his ENO Turn of the Screw remains the finest I have seen – into the Franco Zeffirelli de nos jours. 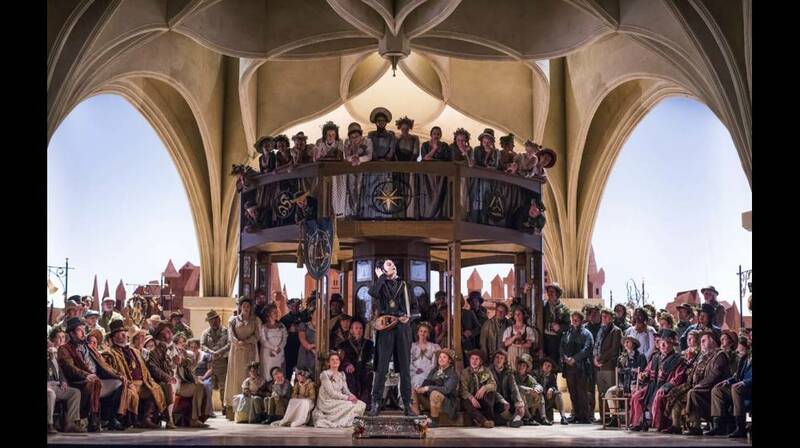 McVicar’s Glyndebourne Entführung seemed like a caricature of something from an alleged ‘golden age’, which of course never was and never could have been, before the alleged invention of big, bad ‘Regietheater’. As I discuss in my recent book, After Wagner, that would take us back at least before Wagner’s own opera stagings. Indeed, it would take us back, paradoxically, to a time of opera staging prior to the origins of opera. Such an approach, if one may call it that, disdaining, with more than a hint of Teutonophobia, any hint of the directorial Konzept, could hardly find a composer less suited to it than Wagner. And yet, there seems, to start with, as though there might actually be a Konzept: well, an updating, at least. For the action does not take place in sixteenth-century Nuremberg, but rather in the earlier nineteenth century, presumably at around the time Wagner was growing up. There is much to be said for such an idea, looking at the societal influences upon the young Wagner, which certainly helped shape his world-view (from a more hostile standpoint, his ideology). Moreover, the guilds and corporations came under sustained post-Enlightenment attack at this time, the Stein-Hardenberg reforms in Prussia, for instance, offering more or less the only instance in that reforming programme of a policy vehemently opposed by Hegel (as an attack on partial association, on civil society). The guild in Nuremberg, then, might be portrayed as under attack; that, after all, is partly the meaning of Walther’s intrusion, a typical Wagnerian move of introducing a charismatic leader from outside. And so we might go on. There is, unfortunately, no attempt to do anything with the updating. Indeed, as with the aforementioned Entführung, or as with McVicar’s Marriage of Figaro for the Royal Opera, one is left with the nasty suspicion that the principal point, or at least principal result, of the updating is simply to present us with a host of ‘pretty’ designs. Vicki Mortimer’s handsome designs might have done so much more – or even just a little more. Moreover, the typical McVicar trait of reducing drama to mere ‘entertainment’ is much in evidence here. There is nothing wrong with art being entertaining, of course; much of it would be failing if, in at least some sense, it were not. However, here the playing to the gallery – and not in some metatheatrical sense, imitating or leading the relationship between the Masters and the populace – becomes especially wearying. ‘Amusing’ interpolations, which serve little or no purpose other than to make those who have partaken of a few too many erupt into apparently helpless laughter, are too often the order of the day. (Quite what led someone to the verge of hysteria during Sachs’s Wahn monologue, I have no idea; on that occasion, the responsibility does not seem to have lain with the production.) And since every McVicar production now seems to have compulsory choreography by Andrew George, we have silly, irrelevant dances, especially painful at the opening of the second act. Beckmesser, for some reason best known to the director, becomes a preening figure of high camp. Fortunately, the score was in better hands. The London Philharmonic Orchestra was on excellent form throughout. Clearly well rehearsed, the orchestra offered as satisfying a German tone – the strings, to my ears, more typically Brahmsian than one often hears in Wagner, but certainly, in this of all Wagner’s dramas, none the worse for that – as one is likely to hear in this country. There were, moreover, many elements of exquisite wind-playing, doubtless having their roots, at least in part, in the LPO’s long experience of performing Mozart here at Glyndebourne. Michael Güttler’s conducting never drew attention to itself; in the first and second acts, it perhaps lacked the sense of life with which the greatest Wagner conductors will bring the melos into dramatic reality, but there was sure structural understanding. In the third act, which, perhaps not coincidentally, offers a more satisfying, if defiantly conservative, experience in McVicar’s staging too, Güttler seemed relatively liberated. His was never an ‘interventionist’ account, but there was a greater willingness to play, and to let the singers, play with the ebb and flow. What made this Meistersinger compulsory viewing (and listening) for me, however, was Gerald Finley’s Hans Sachs. Finley had also played the role in Herheim’s Paris production. Perhaps because of the lack of anything here to say from the staging, he sounded, if anything, finer still. At any rate, the distinction of his performance fell into greater relief, for I have never heard a finer rendition, more anguished and yet, ultimately, more imbued with relative hope, of the Wahn monologue than here. In ‘purely’ musical and in verbal terms, this was a Sachs whose role emerged from lengthy experience and understanding of Lieder. The size of the house probably helped too, the Bastille perhaps not the ideal venue for Finley, excellent though his Paris performance undoubtedly was. 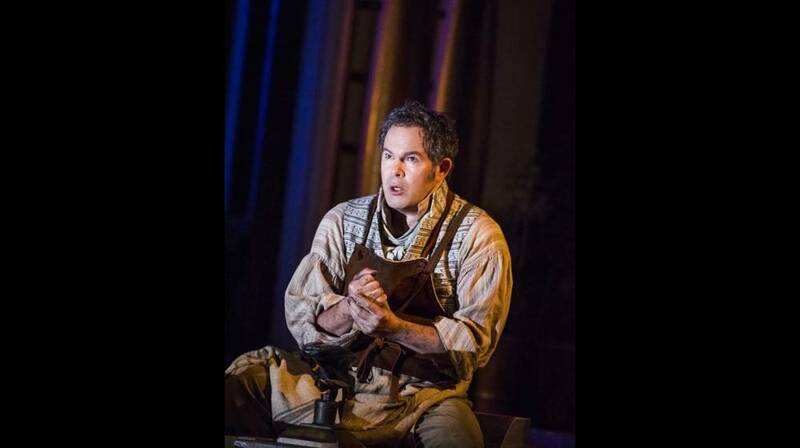 It was, of course, no surprise that Gerald Finley should offer such a sublime performance as Sachs. In terms of vocal excellence combined with subtlety of acting, I don't know if there's a finer singer on stage today. David Portillo, on the other hand, was hitherto unknown to me, and I thought his David quite stunningly good. I should like to hear him sing Mime.